Ferrari F1 team boss hails Charles Leclerc's "very strong" debut with the team at the Australian Grand Prix. 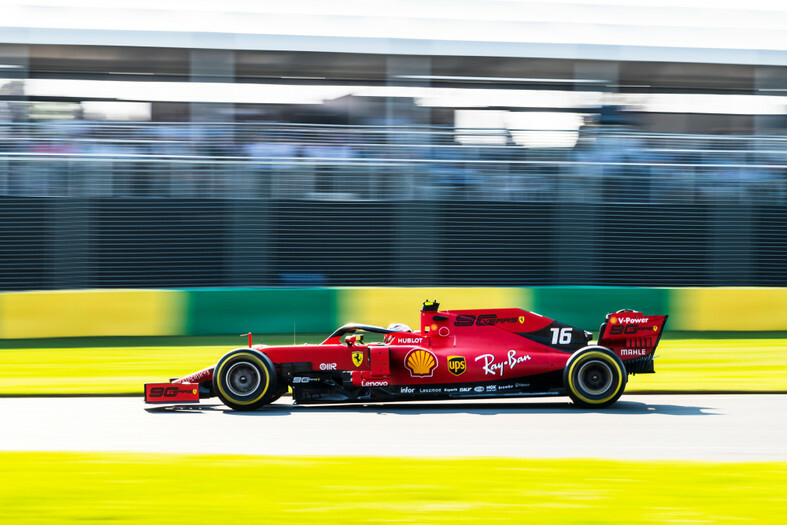 Ferrari Formula 1 team principal Mattia Binotto says he is happy with Charles Leclerc’s “very strong” debut for the Scuderia at the Australian Grand Prix. The 21-year-old Monegasque, who was promoted to partner Sebastian Vettel as Kimi Raikkonen’s replacement following an impressive rookie F1 season with Sauber, qualified and finished fifth in his first outing for Ferrari. After dropping back early on, Leclerc turned in an eye-catching display in his second stint to reel in Vettel before being told to hold station by the team as Ferrari ended up nearly a full-minute behind race-winner Valtteri Bottas. “I’m happy with the way he’s behaving as a team player,” Binotto said when asked how he rated Leclerc’s first grand prix weekend with the team. “Not only as a driver, he’s very helpful for the team but as well he has a very bold claim to do his best, pushing hard on the engineers to try to prove himself and for a better car. “I think if you judge the entire weekend it’s a very strong one. His qualifying wasn’t perfect, he’s aware of it, but I think he drove well also in Q1 and Q2, maybe not perfect in Q3, but generally speaking he had a very good weekend. Leclerc was left disappointed with himself after a mistake on his final Q3 effort left him fifth on the grid, but a fast start enabled him to challenge Max Verstappen and Vettel at Turn 1, before he was squeezed onto the grass. “It was not the greatest race for me and the team, it could have been better,” Leclerc admitted after the race. "But on the other hand Australia is a very strange track and that’s not a reason to panic now. Obviously we need to do some work because Mercedes looks very strong. But I think we are closer than what we have shown. “I was definitely more confident in the second stint than I was on the first stint,” Leclerc added. “Somehow with the Soft it was quite inconsistent, the balance, there was more wind, so might be also for this. Additional reporting by Michael Lamonato.